In this Lowy Institute Analysis, Danielle Rajendram examines India’s Look East Policy, and argues that the Modi Government will prioritise even closer engagement with the Asia-Pacific. India’s Look East Policy has shaped its engagement with the Asia-Pacific for over two decades, and, in recent years, has been driven by an external balancing strategy against China’s influence in the Indian Ocean, as well as India’s desire for a greater global role. The BJP’s overwhelming electoral mandate will provide Prime Minister Modi with the opportunity to transform India into a serious strategic player in East and Southeast Asia. The Modi Government will pursue a greater role in the Asia-Pacific in line with India’s growing economic and strategic interests, based on practical partnerships with Japan, Vietnam, Australia, and ASEAN. The ‘Look East’ policy has been a major part of India’s international engagement since its economic opening in 1991. Having received bipartisan support from successive Indian governments, the policy has evolved from economic and diplomatic engagement with Southeast Asia to broader security and defence ties across the whole Asia-Pacific. In recent years, India has signalled a willingness to play a greater strategic role in the region, deepening links with such partners as Japan, Vietnam, and Australia. The policy has been driven in part by India’s strategy of external balancing against China, but has also been motivated by India’s desire for a greater global role and its rise as a trading nation. Narendra Modi’s landslide victory in the May 2014 election provides the chance to build on this momentum to carve out a greater strategic role for India in the Asia-Pacific. China’s expanding presence in the Indian Ocean and assertiveness in maritime territorial disputes in East Asia has reinforced the relevance of an enhanced Indian role in East and Southeast Asia for India and its Asia-Pacific partners. Already Modi has indicated his intention to transform the Look East policy to ‘Act East’. Although the Modi Government has expressed its intention to focus initially on relations with India’s South Asian neighbours, its commitment to pursue economic growth and a more ambitious foreign policy will lead to an increased eastward focus. The Look East policy has shaped India’s engagement with the Asia-Pacific for over two decades, substantially deepening India’s economic, institutional, and security relations with the region. Initially intended to develop India’s economic ties with Southeast Asia, India’s engagement with its eastern neighbours has since shifted to include Northeast Asia and Australia. In recent years, Look East has acquired a strategic dimension with a significant naval emphasis. Elected with the largest electoral mandate in over 30 years, the government of Narendra Modi has an exceptional opportunity to transform India into a serious strategic player in East and Southeast Asia. While early foreign policy decision-making pointed to a prioritisation of relations within South Asia, the Modi Government has since demonstrated its intention to pursue a more ambitious foreign policy agenda, including carving out a greater global role for India. Early interactions with East and Southeast Asia have been positive, and partnerships with Japan, Vietnam, Australia, ASEAN, and Indonesia hold particular promise. Should the regional situation in South Asia remain reasonably stable, it can be expected that India under Modi will pursue a greater role in East and Southeast Asia in line with its growing economic and strategic interests. This Analysis will examine the future of India’s relations with East and Southeast Asia under the Modi Government. It first outlines the origins and evolution of the Look East Policy under previous governments, and illustrates the centrality of Look East to Indian foreign policy. Second, it examines the Modi Government’s early foreign policy decision-making, and assesses its probable impact on the development of India’s Asia-Pacific strategy. It then identifies key relationships in the Asia-Pacific and looks at their likely evolution under the Modi Government. Finally, it analyses the external and internal factors that have the potential to accelerate or diminish India’s emphasis on engagement with the Asia-Pacific. India’s Look East policy was initiated under the Narasimha Rao Government in the early 1990s amid a worsening domestic economic and political situation. The geopolitical tensions leading up to the 1991 Gulf War deeply affected India’s economy, bringing about economic recession and an acute balance-of-payments crisis by mid-1991. This crisis drove India to search for economic opportunities in more dynamic parts of Asia. In addition, the Look East policy was driven by three specific factors. The collapse of the Soviet Union created a strategic and economic vacuum for India, and the end of Cold War bipolarity reduced the relevance of India’s non-aligned stance. Second, China’s opening just over a decade earlier prompted India to reach out to Southeast Asia to avoid falling into a subordinate political and economic role in the region. India was also driven by a desire to develop and stabilise its fragile Northeastern states, which were in the midst of insurgency. As four of the Northeastern states share a 1643km long land border with Myanmar, they are critical to overland connectivity with Southeast Asia. These factors, combined with the Gulf Crisis, put the need to diversify India’s energy sources and economic partnerships into sharp focus. India needed to integrate into the global economy, and the dynamism of India’s eastern neighbours made Southeast Asia an attractive place to start. Two decades on, engagement with the Asia-Pacific has become an integral component of Indian foreign policy with bipartisan support. 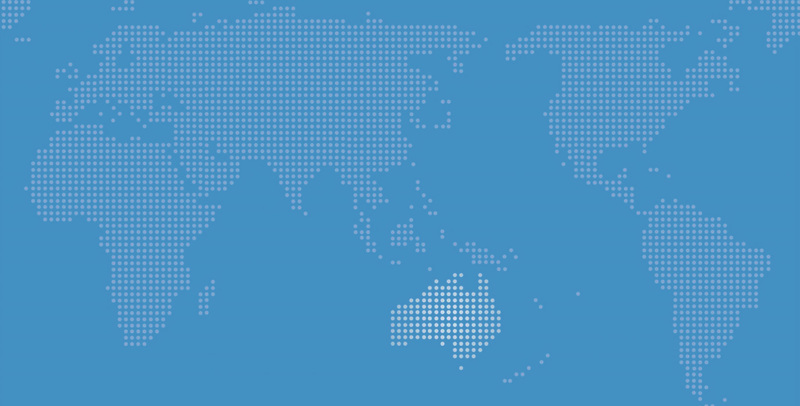 In 2003, the geographic focus and agenda of the policy was significantly expanded to include Australia and East Asia, as well as broader economic and security issues. Look East has thus developed into a multi-pronged strategy involving many institutional mechanisms at multilateral and bilateral levels, economic links, and defence engagement. India’s trade with North and Southeast Asia now represents about a quarter of its total trade; outweighing that with the United States and the European Union. China has become India’s top trading partner, with bilateral trade growing from roughly $US7 billion in 2003-2004, to $US65 billion in 2013-2014. In the same period, two-way trade with ASEAN member states has grown from approximately $US13 billion to $US74 billion, making its trade with the region as a whole even more significant than with China. India’s engagement with East and Southeast Asia has also developed strategic dimensions. In particular, as China’s relationships with India’s neighbours in the Indian Ocean deepen, the strategic relevance of India’s own connections with neighbouring Asian states in the Pacific Ocean will likewise grow. Importantly, China’s assertiveness, particularly in maritime territorial disputes in the East and South China Seas, is prompting Asia-Pacific nations to look to India to play a balancing role; demonstrated by the accelerated outreach to India by states such as Japan and Vietnam. With almost 55 per cent of India’s trade transiting through the Malacca Straits, India does not want to see these crucial waterways dominated by a strategic competitor. Since coming to power in 2014, the government of Prime Minister Narendra Modi has lent India’s Look East policy even greater momentum, unveiling an upgraded ‘Act East Policy’ during the India-ASEAN Summit in Myanmar in November 2014. This is more than just a rebranding. The message is that India is becoming increasingly willing to play a more active and prominent strategic role, exemplified by enhanced defence diplomacy in East and Southeast Asia. Initially, Modi’s early foreign policy decision-making pointed to a prioritisation of relations within India’s own neighbourhood. For example, in an unprecedented move, Modi invited the leaders of all member states of the South Asian Association for Regional Cooperation, plus Mauritius, to his inauguration ceremony. As a further indication of the region’s importance to the new government, both Modi and External Affairs Minister Sushma Swaraj made their first overseas trips to neighbouring countries, Bhutan and Bangladesh. However, Modi’s commitment to stability in the South Asian neighbourhood will not necessarily come at the expense of East Asian engagement. India’s Northeastern states cannot be easily accessed from the mainland without Bangladesh’s cooperation, so positive relations with India’s South Asian neighbours will be crucial to enhancing its land connectivity with Southeast Asia. In addition, since becoming Prime Minister, Modi has advocated a ‘Look East, Link West Policy’ pointing to a broader Indo-Pacific conceptualisation of India’s region. Prior to the 2014 election, expectations were high that Modi would build on Gujarat’s existing economic links with China, Japan, and Singapore to deepen India’s engagement with the region. India’s decision to upgrade its Look East Policy is a reflection of the longer-term economic and strategic benefits of closer relations with the Asia-Pacific. In this vein, the Modi Government has devoted considerable diplomatic energy to strengthening relations with key East and Southeast Asian partners, with particular emphasis on Japan, Vietnam, Australia, and ASEAN. What does this mean for key relationships in Asia? It is clear that the Modi Government must pursue a stable environment in its neighbourhood before it can seek to expand its influence further afield. India will attempt to maintain positive relations with its neighbours, although not at the expense of national security. However, the Modi Government’s ambition of pursuing a larger global role for India, and the greater long-term economic and strategic potential of engagement with East and Southeast Asia, will necessitate the prioritisation of India’s relations with this region over its traditional emphasis on West Asia. How will this affect India’s key relationships in Asia? India’s increased engagement with the region is driven by the impact of China’s rise on both its bilateral relationship and the broader evolving security dynamics of the Indo-Pacific. China’s presence in the Indian Ocean has increased significantly in recent years, made easier by its relationships with Pakistan, Sri Lanka, the Maldives, and others. China has a legitimate interest in protecting its trading and energy lifelines, with 70 per cent of its oil supply and almost 80 per cent of its total trade being shipped through the Indian Ocean region. However, China’s presence in the region combined with its increasing assertiveness along its disputed border with India has given rise to the perception of ‘strategic encirclement’ within the Indian strategic community. According to Indian Home Ministry figures, the number of alleged Chinese border transgressions doubled from 2011 to 2012, and, in August 2014, was on track to exceed the levels of previous years. India’s focus on building economic and security relations with key partners in East and Southeast Asia can be seen to be part of an external balancing strategy in response to these concerns. However, India’s strategic engagement with its Asia-Pacific partners reflects both its competition with China, and its ambitions for a greater global role. It is in India’s interest to see a multipolar order in Asia, but India’s motivation for engaging with the region exists independently of its relationship with China. India has shown a desire for a greater role in Asia, including as a security provider. India has in the past been careful to avoid the perception that it is attempting to contain China or intrude on China’s strategic space, as the swift demise of the Quadrilateral Security Dialogue and India’s reluctance to speak out on the South China Sea have demonstrated. As such, it is likely to cautiously expand its influence in the region, while attempting to avoid overt rivalry with China. Prime Minister Modi has argued for a stronger approach to China, and publicly criticised China’s “expansionist attitude” at a rally in the disputed territory of Arunachal Pradesh during his campaign. This sentiment was echoed during Modi’s September 2014 visit to Japan, where he remarked obliquely upon “an 18th-century expansionist mind-set: encroaching on another country, intruding in others’ waters, invading other countries and capturing territory.” This sentiment has had some of degree policy impact; Sushma Swaraj has made it clear on multiple occasions that India’s endorsement of the One China policy is contingent on China’s affirmation of a ‘One India policy’ recognising Indian sensitivities on Arunachal Pradesh. While the Modi Government is likely to be more strident than the UPA Government on China, especially in its rhetoric, it will remain a pragmatist on the relationship, and will be careful to balance this sentiment with the economic benefits of India’s relationship with China. Indian public opinion on China is somewhat conflicted. While 83 per cent of Indians believe that China will pose a security threat to India in the next ten years, 63 per cent would like to see relations with China become stronger in this same time frame. This tension already informs India’s China policy, and the relationship has long progressed along two distinct economic and security tracks. Despite his criticism of the previous government’s handling of relations with China, this pattern can be expected to continue under a Modi-led government. India and China’s bilateral trade reached $US65 billion in 2013-2014, though this figure is down from its peak of $US75 billion in 2011-2012. High-level interactions between China and India have proceeded at a rapid pace since the new government’s inauguration at the end of May 2014. China’s Foreign Minister Wang Yi was one of the first visitors to India in early June, and after meeting Prime Minister Modi on the sidelines of the BRICS summit in Brazil, President Xi Jinping undertook a state visit to India in September 2014. During the visit, China committed to establishing two industrial parks in India, investing $US20 billion over the next five years in industrial and infrastructure development projects, and enhancing cooperation on railways. While there was some success on the economic side of the relationship, the visit was overshadowed by tensions along the disputed border in Ladakh. Just days before the visit, Chinese troops crossed the Line of Actual Control with orders to construct a road 5km into Indian territory. It took almost ten days to negotiate a withdrawal of the troops. While the opacity of decision-making and proliferation of foreign-policy actors in China raises questions about the genesis of such incursions, if they were centrally directed then the incident represented a significant misreading of Modi on China’s part. Xi’s visit was the first real test of Modi’s capacity to manage the competitive and cooperative elements of India’s relationship with China. Modi raised the issue directly with Xi multiple times during the visit, cautioning that “even such small incidents can impact the biggest of relationships, just as a little toothache can paralyze the entire body.” Meanwhile, Indian troops were mobilised to the border, signalling Modi’s reduced tolerance for the pattern of Chinese border incursions ahead of bilateral visits. In addition, just prior to Xi’s arrival a Chinese submarine on a long-range deployment docked in Colombo, heightening India’s awareness of China’s ability to sustain a presence on both its land and sea borders. Occurring just before Modi’s first trip to the US as prime minister, both these incidents served only to reinforce the relevance for India of balancing against China externally. India’s relations with Japan are likely to be the most strongly affected by Modi’s election. As the most advanced Asian naval power, and as a potential source of considerable investment and technological assistance, Japan offers significant partnership opportunities as India deepens relations with East Asia. Japan and India are still relatively minor economic partners, with a bilateral trade volume of only $US16 billion in 2013-14, and almost $US2 billion in investment in 2013. In 1958, India became the first beneficiary of Japan’s Official Development Assistance (ODA) program, and it is still one of the largest recipients of Japanese ODA. Japanese ODA has supported critical infrastructure projects such as the Delhi Metro, and much of Japan’s future investment will go towards supporting the Delhi-Mumbai Industrial Corridor and the Chennai-Bangalore Industrial Corridor. In an important convergence of developmental and strategic objectives, the Japan International Cooperation Agency was, in November 2014, awarded a contract to build approximately 2000km of strategic roads along India’s disputed border with China. Despite their somewhat underdeveloped relationship, there are natural complementarities between India’s and Japan’s economic goals. Japanese technology and investment has the potential to assist India in upgrading its infrastructure and manufacturing sector, and India’s massive consumer market and investment needs may present opportunities to kick-start Japan’s ailing economy. However, it is the strategic potential of the relationship that is most significant. Again, China’s assertiveness in the East China Sea and along the Ladakh border has created an additional impetus for closer India-Japan ties. The lack of historical baggage and mutual recognition of each other’s importance in Asia’s rapidly changing geopolitical situation has, in recent years, induced India to prioritise relations with Japan. Under the previous government, Japanese Prime Minister Shinzo Abe was the Chief Guest at India’s Republic Day Parade in January 2014. And Abe has long been a proponent of closer India-Japan ties, arguing for the creation of a Japan-and India-led ‘broader Asia’ during his last term as Prime Minister. However the test of this partnership will be the extent to which India and Japan commit to assisting each other in the event of a crisis. Under Modi, India’s relationship with Japan will acquire the additional impetus brought about by his close personal relationship with Abe. Their affinity has already borne results with the inauguration of a new Special Strategic and Global Partnership during Modi’s September visit to Japan, his first outside of India’s immediate region. The partnership arises from the two countries’ “convergent global interests, critical maritime interconnection and growing international responsibilities” and Japan’s place “at the heart of India's Look East Policy.” However, the inability to conclude a civil-nuclear deal during Modi’s recent visit to Japan demonstrated that progress in the relationship will not be driven solely by the political will of the two leaders. On top of a commitment to invest around $US35 billion in Indian infrastructure over the next five years, Modi’s trip brought about agreements to enhance military ties between India and Japan. The two leaders signed a Memorandum of Cooperation and Exchanges in the Field of Defence, and noted the importance of regular bilateral maritime exercises and Japan’s participation in Exercise Malabar with India and the United States. The liberalisation of Japan’s defence export rules will additionally allow Japanese defence firms to fill a gap in India’s huge weapons market, likely beginning with the ShinMaywa US-2 amphibious seaplane. Maritime security remains a natural avenue for partnership for the two Indo-Pacific powers, adding the potential to involve other regional navies such as Australia’s. Although ASEAN has been at the heart of India’s Look East Policy since its inception, Modi’s announcement of the Act East Policy during the 2014 India-ASEAN Summit reinforces the centrality of the institution to India’s engagement with countries to its East. China’s assertive stance on disputed territories has given India the opportunity to enhance its strategic presence in Southeast Asia, and ASEAN states are increasingly looking to India to play a balancing role in the region. Sushma Swaraj gave expression to this sentiment at the 12th India-ASEAN meeting in Nay Pyi Taw saying: “The ASEAN-India strategic partnership owes its strength to the fact that our ‘Look East’ to ASEAN meets your ‘Look West’ towards India.” However, India’s recent economic decline combined with the policy paralysis that afflicted the UPA Government in its final years, means that India will need to work particularly hard to convince ASEAN that it is serious about becoming a reliable partner with an expanded security profile in the region. India and ASEAN elevated their relationship to the level of a strategic partnership in 2012. The Indian Navy has thus far played a crucial role in deepening India’s security partnerships with ASEAN states, through joint patrols, bilateral exercises, humanitarian assistance and disaster relief; and multilateral engagement, including the biennial MILAN exercises at Port Blair since 1995. While India’s Andaman and Nicobar Command presents a natural base for India to project power through the Malacca Strait into the waters of East Asia, the Indian Navy has also begun a significant rebalancing of its fleet from its Western to Eastern Naval Command, which is now the larger fleet in terms of major warships. On the political level, Modi’s government has maintained its commitment to the previous government’s pledge to open a new diplomatic mission to ASEAN in 2014, as well as potentially seconding an officer to the ASEAN Secretariat. In August 2014, Sushma Swaraj announced India’s intention to begin drafting its next India-ASEAN action plan, with an emphasis on increasing connectivity in the region to boost trade and people-to-people links. In terms of connectivity, economic and infrastructure development in India’s Northeastern states will be crucial. As the only overland connection to mainland Southeast Asia, the strategic utility of these states has become even more salient since Myanmar began greater global engagement. Of India’s Southeast Asian partnerships, its relationship with Vietnam is arguably the most strategically significant. Vietnam’s increasingly tense relationship with China and its dominant geostrategic position in Indochina and the South China Sea makes Vietnam a natural partner for India to balance against China in its own neighbourhood. With a view to enhancing political, defence, and security engagement, and bringing about closer economic, scientific, and cultural cooperation, India and Vietnam elevated their relationship to the level of a strategic partnership in November 2007. The Modi Government has deliberately and rapidly accelerated its high-level engagement with Vietnam. Sushma Swaraj and President Pranab Mukherjee undertook official visits to Vietnam in August and September 2014 respectively; India hosted Vietnamese Prime Minister Dung in October 2014; and Prime Minister Modi has accepted Prime Minister Dung’s invitation to undertake an official visit to Vietnam at a mutually agreeable time. The economic relationship between India and Vietnam is fairly minor, ranking only 29th among India’s top bilateral trading partners. That said, in the past five years, trade between India and Vietnam has more than tripled. Indian companies are also beginning to invest in oil and gas exploration, mineral exploration and processing, sugar manufacturing, agrochemicals, IT, and agricultural processing in Vietnam, with a total registered capital of $US252 million across 73 projects in 2013. Given that India and Vietnam both use similar Russian defence platforms, there is much potential for joint training and technology transfer between the two. In 2011, the Indian Navy offered Vietnamese forces facilities for training and capacity building, reportedly in return for berthing rights at Nha Trang. China is suspicious of India’s growing partnership with Vietnam, not least because of its potential to draw India into the South China Sea. In October 2011, India’s state-owned oil company ONGC Videsh Limited signed an agreement with Vietnam to expand and promote oil exploration in the South China Sea, and was issued with a demarche from China in November that same year. Despite China’s protestations that the exploration of Blocks 127 and 128 is in violation of its sovereignty, ONGC Videsh went ahead with the projects. More recently, during Vietnamese Prime Minister Dung’s visit to India in October 2014, ONGC Videsh and PetroVietnam signed a mutual cooperation agreement on the exploration of several South China Sea oil blocks. The China dimension of India-Vietnam relations was clearest in President Mukherjee’s visit to Hanoi. Mukherjee visited Vietnam just ahead of Xi Jinping’s trip to India, at the same time that President Xi was visiting India’s neighbours the Maldives and Sri Lanka, where a Chinese submarine was stationed at the time. Although not necessarily intentional, the timing of the visits sent a clear signal that India intends to build relations with China’s neighbours in the same way China has done in the Indian Ocean. The joint communique from this visit reaffirmed India’s regard for Vietnam “as an important pillar in its Look East Policy,” and expressed Vietnam’s support for both the policy and India’s increasingly important role in regional and international forums. The joint communique also expressed support for freedom of navigation in the South China Sea. This message of support for Vietnam’s security was reinforced by the extension of a $US100 million export credit line for defence deals, and hints that New Delhi and Hanoi were discussing a proposal to supply BrahMos anti-ship missiles to Vietnam. These sentiments were echoed during Prime Minister Dung’s visit the following month, and India also outlined its intention to assist in the modernisation of Vietnam’s defence and security forces through expanded training, joint exercises, and cooperation on defence equipment. Should the BrahMos deal go ahead, the sale of this supersonic anti-ship missile has the ability to significantly bolster Vietnam’s maritime deterrence against China. Indonesia also stands out as a natural partner for India. Not only do the two multi-ethnic Asian democracies have longstanding historical and cultural ties, Indonesia’s geostrategic location on the Malacca and Sunda Straits further reinforces the benefits of closer engagement for India. New Delhi and Jakarta had a short-lived post-independence history of closer engagement brought about by cooperation in the Cold War-era Non-Aligned Movement, and reviving this existing engagement would reinforce the strategic evolution of India’s Look East policy. Indonesia has now become India’s largest bilateral trading partner in ASEAN, with a total value of more than $US19 billion. Despite concluding a Defence Cooperation Agreement in 2001 and inaugurating a Strategic Partnership in 2005, defence relations between India and Indonesia are underdeveloped. Defence cooperation has comprised ship visits, officer exchanges at staff colleges, and joint coordinated patrols in the mouth of the Malacca Strait, and there has been some progress on joint naval exercises since 2012. Given that the two Indian Ocean neighbours are separated by a mere 80 nautical miles of water, there is much unrealised potential for greater cooperation on maritime security. The relevance of this is clear in light of President Jokowi’s stated vision of Indonesia as a global maritime axis. Although involved in a latent disagreement with China over the sovereignty of the Natuna Islands, Indonesia is not a claimant in the main South China Sea dispute. India and Indonesia’s interests in Asia’s maritime territorial disputes are closely aligned in this regard, linked to regional stability and freedom of navigation, rather than support of others’ specific claims. Therefore, Indian security engagement with Indonesia will not automatically ring alarm bells for China. In late 2013, the previous UPA Government committed to annual bilateral summits with Indonesia, a privilege extended thus far only to Russia and Japan. Prime Minister Modi met President Jokowi briefly on the sidelines of the East Asia Summit in November and invited him to visit India. Although Jokowi will be unlikely to initially prioritise foreign policy, Modi would be wise to capitalise on this momentum. Increasing India's engagement with Indonesia could also be advantageous for the Modi Government from a domestic political perspective. Championing ties with the world's largest Islamic nation would help to build Modi's secular credentials and reduce concerns over his perceived anti-Muslim leanings. Australia also has the potential to play a significant role in India’s eastward shift in focus. Australia-India relations have, in recent years, suffered from inattention, although they have been on an upward trajectory since the low point of the 2009-2010 attacks on Indian students in Australia. With new leaders in both Australia and India, there is fresh potential to reinvigorate ties between the two Indian Ocean democracies. Australia and India have a bilateral trading volume of almost $US10 billion, although the relationship has declined by almost 20 per cent in the last year. A recent visit to Australia by Prime Minister Modi showed that he and Prime Minister Abbott are well aware of the opportunities in the relationship, and early signs point to a greater prioritisation of Australia in Indian foreign policy calculations. The beginning of the Modi Government’s term has witnessed an unprecedented level of engagement between the two Indian Ocean democracies, in both bilateral and multilateral contexts. Australian Prime Minister Tony Abbott was the first foreign leader to visit India since the Modi Government’s inauguration, marking the first time the two leaders had met. The visit’s highest profile outcome was the conclusion of an Australia-India civil nuclear cooperation agreement, pending final arrangements on safeguards. Aside from the economic benefits of nuclear commerce between the two states, the conclusion of the deal has removed a major source of mistrust from the relationship, signalling that Australia considers India a responsible nuclear power. Modi reciprocated in November with a full bilateral visit after the G20 Leaders’ Summit, the first by any Indian Prime Minister in nearly three decades. In an address to the Australian Parliament, Modi outlined his view of Australia “as a major partner in every area of our national priority,” noting that “Australia will no longer be at the periphery, but at the centre of India’s vision.” Prime Minister Modi also used the visit to reach out to Australia’s significant Indian-Australian community, addressing a 16 000-strong crowd of Indian community groups in Sydney. The visit resulted in a number of tangible outcomes, and Prime Minister Abbott voiced his intention to conclude a free trade agreement with India by the end of 2015. The most notable agreements included a Framework for Security Cooperation to consolidate and provide direction for Australia and India’s expanding defence and security ties. This agreement has the potential to allow Australia and India to add substance to their ‘strategic partnership’ declaration signed in 2009. As Indian Ocean powers, maritime security and naval cooperation is a natural avenue for Australia and India to pursue closer coordination: bilateral naval exercises are due to begin in 2015. But almost overshadowing the formal agreements was the evident warmth in the personal relationship between Abbott and Modi. The personal connection between the two leaders was highlighted through their liberal use of social media through the visit, and Abbott went as far as to liken Modi to a brother. India has been pursuing closer engagement with the Asia-Pacific for over two decades now. In order to be transformative, however, the Modi Government must look beyond what has already been pledged to pursue serious and deep strategic partnerships throughout the region. This seriousness would be gauged through a number of indicators. On the political level, there would need to be greater engagement with East and Southeast Asian partners, and greater diplomatic resourcing throughout the region. There would also need to be more active involvement in relevant multilateral institutions, such as the East Asia Summit, ASEAN Regional Forum, and APEC, to which India has applied for membership. On the economic front, it can be expected that India’s trade engagement with existing East and Southeast Asian partners will continue. But the extent to which India is willing to liberalise its domestic restrictions to allow greater levels of foreign investment will be a clearer indication of India’s commitment to strengthening relations with the Asia-Pacific, particularly with regard to Japan. Finally, a key indicator will be enhanced defence cooperation and assistance, including joint exercises, defence transfers, and financial or technological assistance. Conclusion on the sale of advanced weaponry to the region, and naval cooperation, particularly in trilateral arrangements, will be of particular significance. In recent years, it is clear that India’s engagement with East and Southeast Asia has been driven primarily by the challenge of responding to China. As such, the kind of regional relationships pursued by the Modi Government will be affected by the way China’s ties with India and its other neighbours continue to develop. Should China persist with its current accelerated rate of incursions along India’s disputed border, or should China’s presence in the Indian Ocean acquire a significant military dimension, India is likely to pursue a deeper relationship with critical partners such as Japan, Vietnam, Australia, ASEAN, and Indonesia. Similarly, should China’s assertive behaviour in maritime territorial disputes in Asia continue to be regionally destabilising, it can be expected that states in East and Southeast Asia will look more seriously towards India to assume an influential role in the region’s security architecture. India’s evolving relationship with the United States will also influence its engagement with East and Southeast Asia, given the continuation of America’s critical role and its stake in the region’s security. The United States has for some time expressed a desire for an enhanced global role for India. The 2010 Quadrennial Defense Review, drafted at the peak of India’s economic ascendancy, recognised that India would be likely to assume a more influential role in global affairs, and contribute to Asia as a net security provider in line with its growing military capabilities. As US Secretary of State, Hillary Clinton encouraged India “not just to look East, but to engage East and act East,” a sentiment that has continued to be echoed by senior officials in the State Department more recently despite India’s subsequent economic slowdown. A closer US-India relationship will be likely to result in more active Indian involvement in East and Southeast Asia. Opinion polling has shown that Indian public sentiment towards the United States is warmer than towards any other country, and while 83 per cent of Indians consider US-India relations to be strong, 75 per cent would like the relationship to become stronger over the next ten years. Thus far, the Modi Government appears serious about developing a more substantial partnership with the United States, as demonstrated by the breadth of Modi’s first visit to the United States in October 2014 and the invitation for President Obama to visit India as Chief Guest for Republic Day in January 2015. In all this, access to advanced US military technology is likely to be a key objective for India. India’s engagement with East and Southeast Asia will, to some extent, be contingent on the regional situation in South Asia. Indian public opinion reveals that Pakistan is still perceived to present the greatest threat to Indian security in the next ten years, with Pakistani-launched terrorism the primary reason for this level of threat perception. This is particularly salient in light of Al Qaeda’s announcement of a new South Asia ‘branch’ in September 2014 and wider concerns about a potential South Asia dimension to the rise of Islamic State. Should relations with Pakistan substantially deteriorate, or a major Pakistan-backed terror attack occur on Indian soil, it should be expected that India’s primary international focus will revert swiftly to its own neighbourhood. Destabilisation in the countries to India’s west could also impact on India’s pursuit of its interests in East Asia. As 68 per cent of India’s imported oil and $US30 billion of remittances come from millions of Indian workers in the Persian Gulf, the Middle East will continue to be of significance to India. The power vacuum and resultant instability that may follow the US withdrawal from Afghanistan also has the potential to shift much Indian attention from east to west. Even so, and despite ties with Israel, which Modi seems keen to enhance, West Asia is not likely to grow as a priority for India it the same way as the Asia-Pacific. In any case, Modi’s advocacy of a “Look East, Link West” policy suggests that his broader foreign policy vision is connected to success in both spheres. India’s ability to pursue a more ambitious role in the Asia-Pacific will also face domestic constraints. India’s economy is just beginning to recover after it slumped to growth rates of less than 5 per cent. Should Modi fail to kick-start India’s economy, another slowdown will constrain his ambitions for India to become a larger regional and global player, and undermine his political freedom of movement domestically. Not only will a prolonged period of lower growth reduce India’s capacity to commit resources to the region, it will also diminish its credibility in the eyes of regional partners. India is still in the early stages of developing its ability to project and sustain its naval presence beyond the Indian Ocean, and continued increases in the naval budget and improvements to India’s defence infrastructure will be necessary to achieve this. As a geographic outsider to the Asia-Pacific, India will continue to rely on its partners, particularly in Southeast Asia, to project power east of Malacca, further reinforcing the need for it to prove itself a credible partner in the first place. In its first months since assuming office, the Modi Government has signalled its intention to pursue serious engagement with the Asia-Pacific and prioritise high-level interactions with China, ASEAN, Singapore, Vietnam, Japan, and Australia. Modi’s overwhelming electoral victory has not only afforded his government the opportunity to pursue a serious strategy in the Asia-Pacific, but has enhanced the perception of India as an attractive security partner in the region. Deeper engagement with the region will align with Modi’s intentions to revitalise Indian economic growth and carve out a more prominent global role for India. In addition, prioritising relations with India’s East and Southeast Asian partners will fulfil India’s broader strategic objectives of balancing against China’s increasing presence in the Indian Ocean. China’s assertive stance in its border dispute with India and maritime territorial disputes in the Asia-Pacific is increasing the relevance of a stronger Indian presence in the region. If it is able to carefully manage Chinese sensitivities, cautious Indian engagement has the potential to act as a stabilising force in the region. India under Modi will likely pursue a more ambitious role in East and Southeast Asia centred on practical partnerships with Japan, Vietnam, and Australia, and multilateral engagement with ASEAN. India’s partners in the region can expect greater Indian involvement in multilateral maritime security initiatives, particularly in the areas of humanitarian assistance and disaster relief, transnational crime, and joint bilateral naval exercises. Accordingly, Australia and other partners should encourage a more active Indian role in regional multilateral institutions in order to support its foreign policy reorientation towards the region. However, India will be unlikely to engage in any security initiatives that could be perceived as threatening or containing China. In the near term, it would not be realistic to expect India to take an active position on East Asia’s maritime territorial disputes, beyond its declared support for principles such as freedom of navigation. In the past, India has neglected to articulate a clear vision for its strategic ambitions in East and Southeast Asia. Historically it has suffered from strategic timidity and poor defence planning that has impeded its ability to integrate itself into the Asia-Pacific. To establish the seriousness of India’s commitment to the region, the Modi Government must demonstrate that Act East is more than just a rebranding of an existing policy. In order to preclude further inertia, India will need to move quickly to outline a clear agenda for deepening economic, institutional, and defence links with the region that go beyond what has been pledged by previous governments. If the Modi Government is able to achieve this, then India has the potential to assume a role as a consequential strategic player across the wider Indo-Pacific. Thongkholal Haokip, “India’s Look East Policy: Its Evolution and Approach,” South Asian Survey 18, no.2 (2011): 242. Subir Bhaumik, Look East through Northeast: Challenges and Prospects for India, Observer Research Foundation Occasional Paper 51, June 2014: 9. G. V. C. Naidu, “India and East Asia: The Look East Policy,” Perceptions 18, no.1 (2013): 73. Figures available from: “Trade Statistics,” business.gov.in, http://business.gov.in/trade/trade_stat.php. David Scott, “India's Role in the South China Sea: Geopolitics and Geoeconomics in Play,” India Review 12, no.2 (2013):55. Narendra Modi, “Media Statements by Prime Minister of India and Prime Minister of Vietnam in New Delhi ,” media statement, 28 October 2014, http://www.mea.gov.in/incoming-visit-detail.htm?24143/Media+Statements+by+Prime+Minister+of+India+and+Prime+Minister+of+Vietnam+in+New+Delhi+October+28+2014; Narendra Modi, “Opening Statement by Prime Minister at the 12th India-ASEAN Summit,” (speech, India-ASEAN Summit, Nay Pyi Taw, Myanmar, 12 November 2014), http://www.mea.gov.in/incoming-visit-detail.htm?24143/Media+Statements+by+Prime+Minister+of+India+and+Prime+Minister+of+Vietnam+in+New+Delhi+October+28+2014. Bhaumik, Look East through Northeast, 18. Indo-Asian News Service (IANS),“India Needs Policy to Look East, Link West: Narendra Modi,” Deccan Herald, 25 September 2014, http://www.deccanherald.com/content/432698/india-needs-policy-look-east.html. Mohan Malik, “The Indo-Pacific Maritime Domain” in Maritime Security in the Indo-Pacific: Perspectives from China, India and the United States, ed. Mohan Malik. (London: Rowman & Littlefield, 2014), 15, 17. See: C Raja Mohan, Samudra Manthan: Sino-Indian Rivalry in the Indo-Pacific, (Washington DC: Carnegie Endowment for International Peace, 2012), 130. Alyssa Ayres, “China’s Mixed Messages to India,” Forbes, 17 September 2014, http://www.forbes.com/sites/alyssaayres/2014/09/17/chinas-mixed-messages-to-india/. David Brewster, “Indian Strategic Thinking about East Asia,” Journal of Strategic Studies 34, no.6 (2011): 848. See: Rory Medcalf, “Unselfish Giants? Understanding China and India as Security Providers,” Australian Journal of International Affairs 66, no5: 554-566. Brewster, “Indian Strategic Thinking about East Asia,”: 833. Press Trust of India (PTI), “Can't Allow China to Dominate India, We Need to Take Ourselves Seriously: Modi,” Indian Express, 19 October 2013, http://archive.indianexpress.com/news/cant-allow-china-to-dominate-india-we-need-to-take-ourselves-seriously-modi/1184413/0 and Victor Mallet, “Modi Hits Out at Chinese Expansionism,” Financial Times, 24 February 2014, http://www.ft.com/intl/cms/s/0/65df3de0-9d1f-11e3-83c5-00144feab7de.html?siteedition=intl#axzz2xhy9U600. Mitsuru Obe and Niharika Mandhana, “India and Japan Pursue Closer Ties to Counter China,” 1 September 2014, http://online.wsj.com/articles/indias-prime-minister-narendra-modi-wants-closer-ties-with-japan-to-counter-china-1409555754. Indrani Bagchi, “India Talks Tough on One-China Policy, Says Reaffirm One-India Policy First,” Times of India, 9 September 2014, http://timesofindia.indiatimes.com/india/India-talks-tough-on-one-China-policy-says-reaffirm-one-India-policy-first/articleshow/42060331.cms. Rory Medcalf, India Poll 2013, (Sydney: Lowy Institute for International Policy, 2013). Times News Network (TNN), “Chinese Incursion in Ladakh: A Little Toothache Can Paralyze Entire Body, Modi tells Xi Jinping,” Times of India, 20 September, 2014, http://timesofindia.indiatimes.com/india/A-little-toothache-can-paralyse-entire-body-Modi-tells-XI-Jinping/articleshow/42940337.cms. Gardiner Harris, “India Takes Tough Stance with China on Kashmir,” New York Times, 19 September 2014, http://www.nytimes.com/2014/09/19/world/asia/modi-pushes-xi-to-resolve-border-issue-in-kashmir.html?_r=1. Rajat Pandit, “India Suspicious as Chinese Submarine Docks in Sri Lanka,” Times of India, 28 September 2014, http://timesofindia.indiatimes.com/india/India-suspicious-as-Chinese-submarine-docks-in-Sri-Lanka/articleshow/43672064.cms. Ministry of Foreign Affairs of Japan, “Japan-India Relations (Basic Data),”, 4 August 2014, http://www.mofa.go.jp/region/asia-paci/india/data.html. Rohit Sinha and Geethanjali Nataraj, “Japanese ODA Stimulates Indian Infrastructure Development,” East Asia Forum, 18 June 2013, http://www.eastasiaforum.org/2013/06/18/japanese-oda-stimulates-indian-infrastructure-development/. Rohinee Singh, “Japan Gets Contract to Build Strategeic [sic] Roads on Indo-China Border,” DNA India, 3 November 2014, http://www.dnaindia.com/india/report-japan-gets-contract-to-build-strategeic-roads-on-indo-china-border-2031590. Danielle Rajendram, “India-Japan Ties in the Face of a Rising China,” China India Brief #20, Lee Kuan Yew School of Public Policy, 28 January 2014, http://lkyspp.nus.edu.sg/cag/publication/china-india-brief/china-india-brief-20. Shinzo Abe, “Confluence of the Two Seas,” (speech, Parliament of the Republic of India, 22 August 2007). Government of India, Ministry of External Affairs, Tokyo Declaration for India - Japan Special Strategic and Global Partnership, 1 September 2014, http://www.mea.gov.in/bilateral-documents.htm?dtl/23965/Tokyo+Declaration+for+India++Japan+Special+Strategic+and+Global+Partnership. “The Latest Special Relationship in Asia, Financial Times, 3 September 2014, http://www.ft.com/intl/cms/s/0/d7558ebc-337d-11e4-85f1-00144feabdc0.html?siteedition=intl#axzz3CK4OHP4Y. Sudhi Ranjan Sen, “For First Time Since World War 2, Japan will Sell Military Equipment. To India,” NDTV, 2 September 2014, http://www.ndtv.com/article/india/for-first-time-since-world-war-2-japan-will-sell-military-equipment-to-india-585231. See: Rory Medcalf and C. Raja Mohan, Responding to Rivalry: Australia, India and Middle-Power Coalitions, Lowy Institute Analysis, (Sydney: Lowy Institute for International Policy, 2014). Sushma Swaraj, “Opening Remarks by External Affairs Minister at 12th India-ASEAN Meeting in Nay Pyi Taw,” (speech, India-ASEAN meeting, Nay Pyi Taw, 9 August 2014). David Brewster, “India’s Defence Strategy and the India-ASEAN Relationship,” in India-ASEAN Defence Relations, ed. Ajaya Kumar Das (Singapore: S. Rajaratnam School of International Studies, 2013), 128. Sushma Swaraj, “Remarks by External Affairs Minister at the 12th ASEAN-India Foreign Ministers Meeting in Nay Pyi Taw, Myanmar,” (speech, ASEAN-India Foreign Ministers Meeting, Nay Pyi Taw, 9 August 2014). Carl Thayer, “How India-Vietnam Strategic Ties are Mutually Beneficial,” The Diplomat, 3 December 2012, http://thediplomat.com/2013/12/how-india-vietnam-strategic-ties-are-mutually-beneficial/. Government of India, Ministry of External Affairs, India-Vietnam Relations, December 2013, http://www.mea.gov.in/Portal/ForeignRelation/Vietnam_Dec_2013.pdf. Abhijit Singh, “India's 'Look East' Policy Takes on Maritime Edge,” World Politics Review, 9 July 2012, http://www.worldpoliticsreview.com/articles/12139/indias-look-east-policy-takes-on-maritime-edge. PTI, “ONGC Videsh to Acquire Stake in 2 Vietnamese Blocks,” The Hindu, 28 October 2014, http://www.thehindu.com/business/Industry/ongc-videsh-to-acquire-stake-in-2-vietnamese-blocks/article6541721.ece . Government of India, Ministry of External Affairs, “Joint Communiqué between the Socialist Republic of Vietnam and the Republic of India (Hanoi, 15 September 2014),” http://www.mea.gov.in/outoging-visit-detail.htm?23997/Joint+Communiqu+between+the+Socialist+Republic+of+Vietnam+and+the+Republic+of+India+Hanoi+15+September+2014. Anirban Bhaumik, “India Plans to Supply Vietnam BrahMos Missiles,” Deccan Herald, 12 September 2014, http://www.deccanherald.com/content/430576/india-plans-supply-vietnam-brahmos.html. Ristian Atriandi Supriyanto, “The Unfulfilled Promise of India-Indonesia Defense Ties,” The Diplomat, 31 May, 2013, http://thediplomat.com/2013/05/the-unfulfilled-promise-of-indonesia-india-defense-ties/. Evan Laksmana, “Why There is No ‘New Maritime Dispute’ Between Indonesia and China,” The Strategist, 4 April 2014, http://www.aspistrategist.org.au/why-there-is-no-new-maritime-dispute-between-indonesia-and-china/. See: Aaron Connelly, Indonesian Foreign Policy under President Jokowi, Lowy Institute Analysis, (Sydney: Lowy Institute for International Policy, 2014). Danielle Rajendram, “Collaborating across the Indian Ocean,” Pragati, 14 September 2014, http://pragati.nationalinterest.in/2014/09/collaborating-across-the-india-ocean/. Narendra Modi, “Address to the Joint Session of Australian Parliament,” (speech, Parliament of Australia, Canberra, 18 November 2014). Prime Minister of Australia the Hon Tony Abbott, MP, “Joint Statement with Prime Minister Modi, New Delhi, India,” https://www.pm.gov.au/media/2014-09-05/joint-statement-prime-minister-modi-new-delhi-india. United States of America, Department of Defense, Quadrennial Defense Review Report, 60, February 2010, http://www.defense.gov/qdr/images/QDR_as_of_12Feb10_1000.pdf. Robert O. Blake, Jr, “The U.S.-India Partnership in the Asian Century,” (speech, University of California, Berkeley Institute of International Studies, Berkeley, 21 March 2013), http://www.state.gov/p/sca/rls/rmks/2013/206539.htm. Rory Medcalf, India Poll 2013. Malik, “The Indo-Pacific Maritime Domain”; Alyssa Ayres, “India’s Stakes in the Middle East,” Forbes, 26 February 2014, http://www.forbes.com/sites/alyssaayres/2014/02/26/indias-stakes-in-the-middle-east/. Unni Krishnan, “India Predicts Climb from Decade-Low GDP Growth Amid Risks,” Bloomberg, 8 February 2014, http://www.bloomberg.com/news/2014-02-07/india-predicts-climb-from-decade-low-gdp-growth-as-risks-remain.html. David Brewster, India as an Asia Pacific Power: 160.